Space Pioneers Robert Esnault-Pelterie and Ary Sternfeld. Two pioneers of space exploration, Robert Esnault-Pelterie and Ary Sternfeld, introduced the words astronautics and cosmonautics, respectively, into the scientific language. The origin of the term astronautics is well documented. In contrast, the history of the word cosmonautics remains poorly known. Ary Sternfeld is also largely forgotten. The book tells the stories of astronautics and cosmonautics and describes life journeys of space pioneers Robert Esnault-Pelterie and Ary Sternfeld. 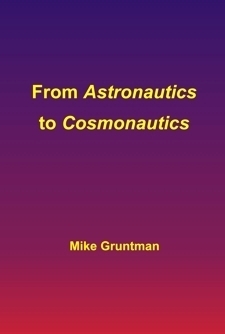 Dr. Mike Gruntman is professor of astronautics at the University of Southern California (USC). Accomplished physicist, Mike is actively involved in research and development programs in space science and space technology. He has authored and co-authored nearly 300 publications, including 4 books.